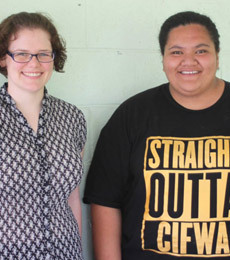 Over the years, women in the Cook Islands have seen improvements in their status. An increasing number of women are involved in political affairs and decision-making, economic activity, accessing police and counselling services and there have been improvements in maternal health and gender parity in primary and secondary level education.3 Since 2014, the focus of the Cook Islands National Policy on Gender Equality and Women’s Empowerment (2011-2016) has been on ending violence against women and improving women’s economic empowerment.4 The Family Protection and Support Bill was passed in July 2017, providing additional measures to protect families and children from family violence. Measures have been put in place to support women’s economic empowerment including training and mentoring for women, the introduction of paid maternity leave legislation, and the appointment of Women’s Development Officers throughout Cook Islands. The Cook Islands Government ratified the Convention on the Elimination of All Forms of Discrimination Against Women (CEDAW) in 2006 and has established a gender policy called the National Policy on Gender Equality and Women’s Empowerment and Strategic Plan of Action 2011-2016. In addition, the National Sustainable Development Plan 2007-2010 notes the intention to integrate gender equality policies into government sectoral strategies. The Gender Division of the Ministry of Internal Affairs is responsible for supporting implementation of CEDAW and leads on coordination to implement the Cook Islands Gender Policy. Despite several successful initiatives to address gender equality, the Policy is not yet systematically integrated into the policies and programs of central and local government. The Cook Islands National Council of Women is responsible for coordinating implementation of the Gender Policy with civil society organisations, however civil society in Cook Islands remains weak. 65 per cent of women participate in the labour force (not including subsistence work). 12 per cent gender gap in the labour force participation rate (male to female). 33 per cent of women have experienced physical and/or sexual violence by their partner in their lifetime. Cook Islands has ratified Convention on the Elimination of All Forms of Discrimination Against Women. 46.1 per cent is the contraceptive prevalence rate of women aged between 15-49. 122 is the Gender Parity Index for secondary school enrolment (gross) in 2014 – for every 100 boys enrolled, there were 122 girls enrolled. Note: Statistics in this section are from the Asian Development Bank (2016) Gender Statistics: The Pacific and Timor Leste report unless otherwise stated. Through Pacific Women, the Australian Government will spend approximately $3.9 million over 10 years (2012–2022) on initiatives supporting women’s empowerment in the Cook Islands. More information on the partnership and nature of support is included in the Pacific Women Cook Islands Country Plan Summary. Details on activities currently underway in-country with various partners is available via our interactive map. The list of program partners can be found here. The Cook Islands is also supported by Pacific Women’s regional program, details of which can be viewed on the interactive map under regional activities. To mark International Women’s Day 2017, Pacific Women support a two-day Women’s Business Forum in Cook Islands. The two-day event in Rarotonga attracted around 80 women from across Cook Islands including the outer islands of Aitutaki, Atiu and Mitiaro. 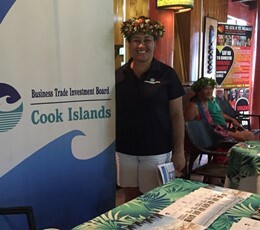 The forum was designed to provide information to women interested in business and to showcase the successes of Cook Islands’ women entrepreneurs. Government and civil society in Cook Islands collaborated to organise a series of activities to mark the 16 Days of Activism in 2016. 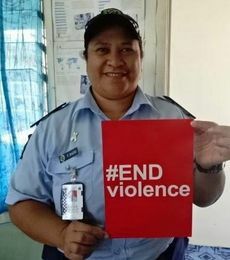 Funded under the Australian aid program’s Pacific Women Shaping Pacific Development initiative, the campaign was locally developed, led and implemented by the Cook Islands Ministry of Internal Affairs, Punanga Tauturu Inc., Ministry of Police, and the National Council of Women. Quality statistics help everybody in a project cycle. However, data is only as good as our ability to understand, interpret and use the information that is presented. 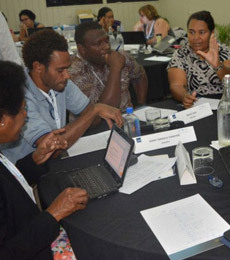 Through the PGEP program, Pacific Women is supporting work in the Cook Islands to improve the analysis and presentation of gender statistics, with the aim of making them accessible, interesting and ready for a wide range of uses. Walking uphill to the hospital in the tropical heat whilst heavily pregnant to access the ultrasound at the main hospital was not something that Cook Islander women looked forward to. However, IPPF has supported the CIFWA to provide women with better access to reproductive health services, including ultrasound, close to their communities.